Bosch has announced that it has taken on the role of being one of the official partners of ABB FIA Formula E Championship. The Formula E racing series is billed as the first purely electric single-seater racing series. And the new sponsorship highlights Bosch’s ambition to emerge as a leader in electromobility. As part of the sponsorship, Bosch be the official partner of the series for auto parts, white goods and power tools. 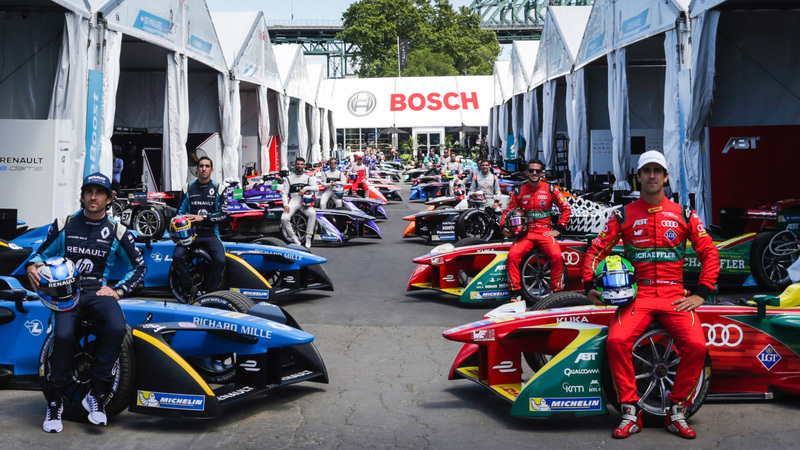 Commenting on the sponsorship, Alejandro Agag, founder and chief executive of Formula E, said that as Bosch is one of the leading automotive suppliers and is a highly recognized brand, it was a natural partner for the Formula E racing series. Bosch has a long-standing tradition of competing in motorsport and significant expertise in electrification, automation and connectivity. All these three components are expected to play a key role in the future of urban mobility and Agag expressed his hope that together with Formula E’s complete roster of partners, the series would be able to expedite the transition to electric vehicles and help them gain greater acceptance. As an outcome of the partnership deal, Bosch will partner with Formula E for a minimum of three seasons and support Formula E goals of helping to promote connected manufacturing, smarter cities and connected mobility. The collaboration between Bosch and Formula E will cover advertising on at the race tracks, online, and on TV. The partnership with Formula continues Bosch’s long tradition of supporting all forms of motorsport. Bosch has supported DTM for many years and has served as a source of many prototypes and touring vehicles for the World Endurance Championship.